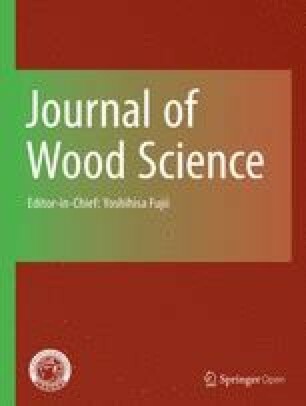 The effect of visual stimulation from wood on the body was examined in a comparative study using full-sized hinoki wall panels and a white steel wall panel. Continuous blood pressure measurements were used as the physiological indicator. Sensory evaluation by the semantic differential (SD) method and the profile of mood states (POMS) test were performed to determine changes in psychological impression. Results showed that visual stimulation from hinoki wall panels had an emotional and natural impression upon humans. Blood pressure decreased significantly in subjects who liked them, and there was no significant increase in blood pressure in subjects who disliked them. Visual stimulation from the white steel wall panel made an unhealthy and closed impression and increased the sense of depression. In addition, there was stress and a significant increase in blood pressure in subjects who disliked them. Consequently, visual stimulation from hinoki and white steel wall panels had different physiological and psychological effects. Results also showed that the same visual stimulation induced different physiological responses depending on the values of the individuals.